Hospital Administrators From Peru and Colorado Discuss Strategies; Evaluate GHI Impact » Administrators of three Adventist hospitals in Peru paid a visit to Colorado's Adventist hospitals and met their counterparts, May 5, to jointly plan celebrations for 10 years' involvement through Centura's Global Health Initiative (GHI) and exchange experiences and strategic planning. Meeting at Avista Adventist Hospital, the Peruvian delegation included representatives of Seventh-day Adventist Church leadership in South Peru with Pastor Enzo Chavez, president, and David Echevarria, treasurer. 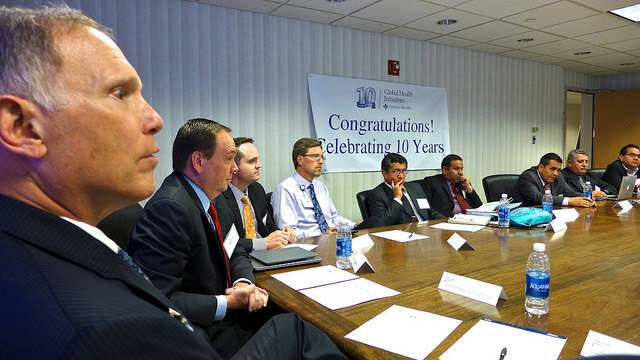 Representing Adventist hospitals in Colorado were CEOs of Avista, Castle Rock, Littleton, Parker and Porter. The group committed themselves to strengthening ties, recognizing, in the words of Dr. Milika Brañez, CEO of Clinica Adventista Ana Stahl, that "we are each a part of one family, working as a team." Pastor Eric Nelson, vice president of the Rocky Mountain Conference welcomed the opportunity for the church to exchange ideas and learn from each other's experience in serving our communities through medical missions. Adventist medical and healthcare work etched itself into Colorado life and culture dating back 150 years. Stephen King, vice president for mission integration for Centura Health South Denver, presented the visitors with developments that led to the creation of a well-recognized health system, Centura Health. In his opening remarks, Dennis Barts, Avista Hospital's CEO, recalled his direct encounter with the Peruvian hospital and its staff. "When our groups come, it's a lot of work for you and your staff. But it's a blessing for us to be involved with our Peruvian friends," he said. "You are helping us to save lives and change the way we see and treat our patients," said Milka Brañez. 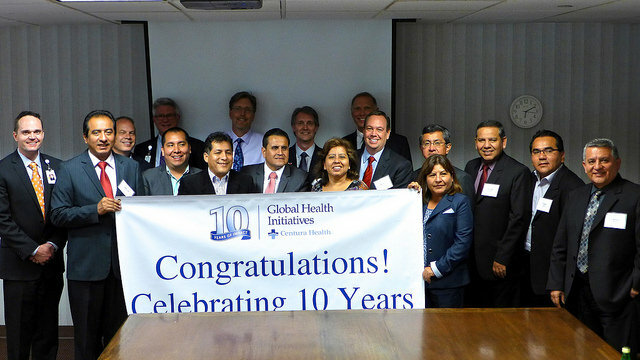 Of the GHI engagement with health and medical needs in Peru, Greg Hodgson, GHI director, stated that "after working together in Colorado for many years as a system of hospitals, Centura Health is honored to engage with the leaders of the three Adventist hospitals in Peru and the South Peruvian Union." Along with the administrators of the Clinica Adventista Ana Stahl, the Peruvian guests respresented also Juliaca American Clinic and Lima's Good Hope Clinic. During the 10 years of its mission, 1,800 volunteers performed medical services and GHI assisted in strengthening health systems in several countries, including Nepal, Rwanda, and Peru. According to the GHI anniversary report, nearly 48,000 individuals have been impacted and medical teams performed 2,082 surgeries and treated nearly 44,000 patients. 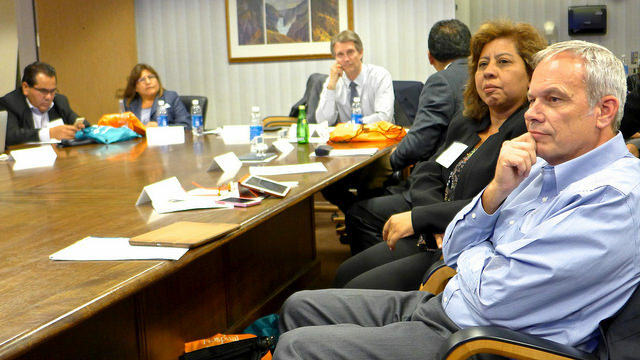 Commenting on the exchange between administrators of Adventist hospitals in Colorado and Peru, Moore Dean, CEO of Porter Adventist Hospital and president of the South Denver Group, Centura Health, said that such a meeting "allows us to share really good ideas on how to extend our mission with our community. It also has been a great motivator for our associate employees, [who] appreciate the fact that our mission extends beyond just their local community and that it has a global impact," he commented. "We appreciate every time that we get the chance to meet with them because we see that they have a strong connection to their church and they are passionate about their mission. They do it differently than we do because of cultural dynamics and the church structure. "[Through] the partnership was started 10 years ago, we were able to attract people to work in our hospitals because they love the fact that we have that global emphasis that we do in Peru, Rwanda and Nepal. 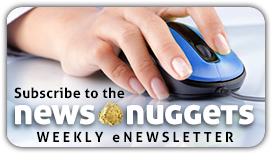 Any chance we have to continue to foster the relationship and make it more powerful, we are excited about that," Morre Dean commented for NewsNuggets. "We always learn, when we are with them, about different ways to advance our mission in our community," Dean added. Pastor Enzo Chavez said that the impact of GHI's mission within his territory helped them "to broaden our vision on how to care for our people who are in need and help us with our outreach into the community." He said that Adventist clinics are regarded as being in the top echelon of medical institutions in Peru and attract the best medical professionals. Compared with other hospitals in the community, "our hospitals are known as Christian hospitals. People appreciate when our doctors are praying with them. In difficult health cases, they prefer to come to our hospitals because they know that the surgeon is going to pray with them before the surgery." Cooperation with Colorado Adventist hospitals had a lasting effect also on her personally, Dr. Milka Brañez said. "They are like a big brother, teaching us what to do and how to do it." "Whenever they come, Centura personnel bring commitment and love which our staff shares in turn with their patients. People in the community say, 'Thank you, God, for sending these people to help us,'" she added. Planning for the future, Hodgson expressed hope to "build on our success in order to have an even greater impact on healthcare throughout the country. Even though Centura has been working with Clinica Adventista Ana Stahl in the Amazon basin for 10 years, we hope to expand that partnership to all three hospitals and move toward a more efficient and effective system of governance and administration," Hodgson commented. 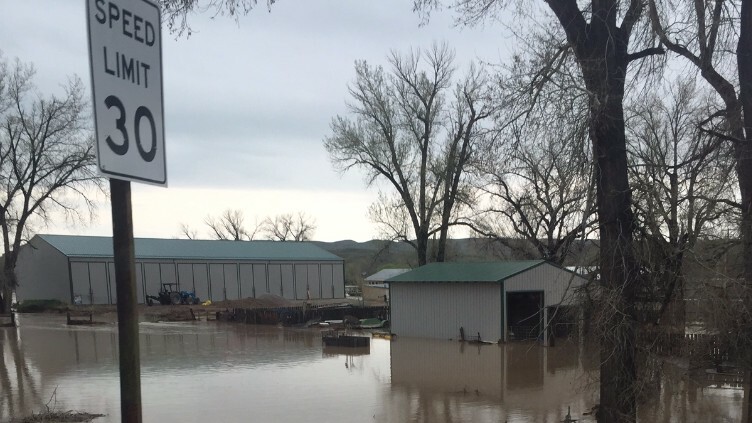 Wyoming Flooding Affects Adventist Church and Pastor » Heavy rains across portions of central and southwestern Wyoming have caused flooding and damage to roads and homes as well as other buildings, with most of the damage on the Wind River Reservation, located in northwestern Wyoming. "We're on stand-by alert," states Cathy Kissner, RMC Disaster Relief Coordinator, as she waits at her home in Salida, Colorado, for flood assessment to be completed before knowing if she is needed to help families affected by the current destruction from flood waters in Fremont County. A part of VOAD (Voluntary Organizations Active in Disaster), Cathy goes where she is called, even heading to Saipan in 2015 when Typhoon Soudelor hit the island in August. She has coordinated recovery centers for seven disasters, including the Colorado flood in 2013. In Wyoming, four homes have been destroyed along with two apartment complexes. Altogether, 117 households have been affected. "In the town of Lander," says Jason Logan, pastor of the Lander Seventh-day Adventist Church, "scores of homes have minor damage, some with sewage back-up or groundwater flooding in their basements. Our church basement had some groundwater flooding [4-6 inches] and sheetrock damage and we've had to tear out carpets," Jason explains. "Now," he continues, "we are working toward trying to protect against mold and mildew." The home of Pastor Logan also sustained damage as the basement flooded over a 36-hour period with several inches accumulating. The full extent of the damage will not be known until the community completes its damage assessment. With 75 percent of the people in the affected areas at or below the poverty level, recovery will be difficult. The American Red Cross (ARC) has a memorandum of understanding (MoU) with two tribes on the Wind River Reservation, which means that they will work together to help the flood victims. Ninety people have responded so far to the ARC and 20 cases have been opened with more expected. The Southern Baptist Church is doing what they call "muck and duck", evaluating sheetrock to see how far up the wall the damage goes. They cut out the damaged part and haul it away, inspect behind the wall to determine if there is mold and do mold mitigation. This is a free service they provide. Navajo Churches Make Plans to Organize Adventurer Clubs » Just ahead of the 100th anniversary of the beginning of Adventist presence on the Navajo reservation, three Navajo nation churches, Chinle (Arizona), Waterflow and La Vida Mission, met for Adventurer leadership training with plans to organize clubs at their churches. Joined May 6-8 at La Vida Mission by Piñon Hills, Aztec and Bloomfield churches, the future leaders participated in instructions and presentations led by Don and Chris Hill, Pathfinder/Adventurer Coordinators for Rocky Mountain Conference. Along with the usual club leadership and organizational training, the new leaders also experienced a drill and march class taught by a local Navajo man, Anderson Jim. A highlight was the Adventurer Family Blessing class where leaders learned about holding a Blessing Service that gives parents the opportunity to bless their children by affirming to them their value in the eyes of the parents and in the eyes of God. "This class was an important addition because it blends well with Native culture and fits with Native Ministries," states Steve Gillham. 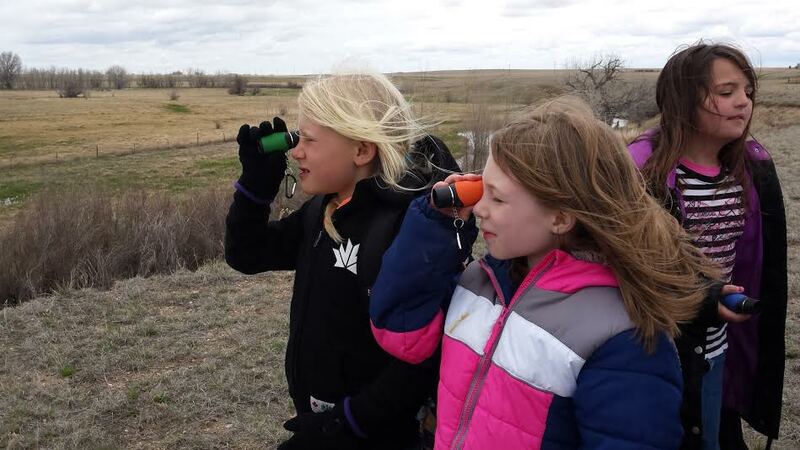 "I hiked four miles and carried my own water and lunch," exclaims Moises, a student at Lighthouse Christian School, after spending time with his classmates studying the ecosystem around Pawnee Buttes and the Crow Valley Recreation Area. Led by Anthony Handal, assistant youth director, and Shannon Werner, student evangelism and programs coordinator, both at RMC, the two-day Outdoor School over April 20 and 21, focused on team-building, hiking and learning about the flora and fauna in the local community. Hiking the dusty paths, looking up at the towering buttes, students were on the search for answers to questions posed to them by Anthony and Shannon: "How were the Pawnee Buttes formed?" "What connections can I make between wild animals and resources?" "What did this place look like 200 years ago; what do I want it to look like for future generations; and how can I be a part of that?" In partial answer, Brooklyn states, "These buttes were shaped by the Flood." Joshua jumps in to add, "These buttes were shaped again by erosion." Much learning took place over the two days of hiking around the buttes and listening to Anthony and Shannon point out evidences of a Creator God and a universe governed by the laws He set in motion. "Ant hills face south" [to take advantage of passive solar heat and avoid the wind] explains Kirra. "Ants are smart," she concludes. "Animals need water, shelter and food in their ecosystem," reports Emely Orona, grade 2. "Roots hold the dirt down," adds Noeli Hernandez, grade 3. Kaylin Baquera, grade 1 contributes, "During the spring, the eagles lay eggs here and the trail is closed." Vista Ridge School Board Announces Constituency Meeting and Considers New Marketing Strategies » Referred to as a "critical constituency meeting", Vista Ridge Academy's board is encouraging members of its constituent churches of Boulder, Chapel Haven and Twin Peaks to attend the next constituency meeting at 6 p.m., Sunday, June 5 at Vista Ridge Academy. A draft agenda includes a discussion and vote on the school's budget and the direction of the school's program will be shared. The board also heard and voted its current financial report and shared a Rocky Mountain Conference incentive to ensure that constituent churches send payroll funds in a timely manner. This equates to an $800 payment each month. A new schedule will be sent to churches that would allow the school to receive the subsidy funds and ensure that the transfer reaches RMC by their deadline. This timeline adjustment could possibly mean $10,000 in extra income for the school which would reduce fundraising pressure. Boulder Church pastor, Japhet De Oliveira, stated that a proposal will be considered by the Boulder Church Finance Committee requesting that they set up a revolving line of credit for the school. "This will help transition the new process that will ensure the school makes payroll payments on time," he said. For the first time in several years, constituent churches have raised enough money to start the school year with a balanced budget. Shawn Nolan, board chair, commented that VRA's 2015-16 school year has been so successful "because of the generous donations of our friends who share Vista Ridge Academy's vision of first-rate Seventh-day Adventist Christian education in the North Denver Metro area." "I want to make sure all -- both donors and friends -- know how much our teachers, students and school board appreciate that generosity. Together, we are transforming Proverbs 22:6 from words into a loving and concrete educational reality," he stated. Coordinated by Marsha Bartulec, director of marketing and recruiting, ongoing conversations are addressing a marketing plan for the Fall of 2017. While marketing efforts will be activated for this fall, the long-term plan will be directed toward the fall of 2017. 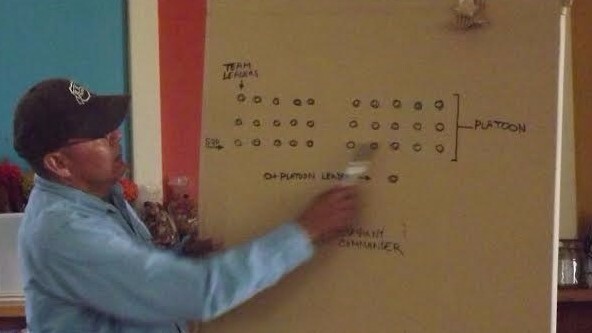 Elements of communication approaches will be presented at the constituency meeting in June. Harley-Riding Evangelist Brings Jesus to Cañon City » Known for riding his Harley across the country and telling the story of his conversion, Michael Sady broke with tradition when he arrived at Cañon City for a six-week series which began mid-winter and concluded mid-April. He didn't ride in on his Harley. His Decoding Prophecy seminar touched the lives of many church and community members and resulted in the baptism of 13 people by its conclusion. Through the "truth of the Bible and the power of Bible prophecy, he answered questions many [participants] had and presented assurances they never knew existed." The event was promoted through invitations sent to area homes as well as through advertising. They came because a wife influenced them, or because a friend needed a ride to an evangelistic meeting. They came from Sunday-keeping churches, all attracted by the subjects presented as well as the warmth of the church members. They stayed because Jesus touched them and they had to respond. 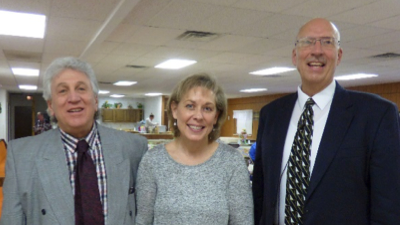 Two weeks after the meetings ended, on Sabbath, April 16, Pastor Schwarz welcomed two more believers to fellowship. Jackie Robinson, a very active member for many years, had been witnessing to her friend, Eugenia Erps and was thrilled when Eugenia made the decision to be baptized. Many church members made decisions to recommit to following Jesus. Jackie chose to express her renewed decision by being re-baptized with her friend. Bill and Carolyn Beitler were invited to attend by friends. After careful thought, Carolyn decided to follow Jesus in baptism. Bill stated that he will be baptized soon. The joy continued on the last Sabbath of April when Elizabeth Schrum was baptized. Pastor Sady began witnessing to Elizabeth while in outreach meetings in New Mexico. She has been teaching her Sunday church Bible truths she has been discovering. Elizabeth has visited Cañon City several times to continue to learn. On April 30, her desire to follow Jesus resulted in her baptism. Campion Students See God at Work in Wildfire 2016 » In a large tent erected on the grounds of Campion Academy, students have gathered each evening this week to hear classmates present their beliefs about some of Christianity's toughest questions: Is God real? Is God on my side? Why should we keep the Sabbath? Tent walls were dismantled one night to allow for enough chairs to be set up to accommodate the people. Other nights, clouds gathered and rain threatened. Yet, the palpable enthusiasm of the speakers and their classmates spoke to church members and visitors alike. Coordinated by Nestor Soriano, Campion's pastor for evangelism, Wildfire is being held as a community outreach as well as an opportunity for Adventist youth to make Jesus real in their lives. Mentored by Soriano, Xander Assa prayed for weeks that God would touch one person through his talk, "What Happens When We Die?" "At first," Xander explains, "no one came forward for my appeal." He told the audience he had been praying for someone there. "Then," he explains, "I saw seven of my friends come up [in response to his invitation]." His enthusiasm was uncontainable as he related the moment that God worked through him. "There's nothing more exciting to me than seeing these young people own and share their faith," said Soriano. One student's message helped another student understand that Jesus' perfect life will be credited to her in the Judgment. Local pastors coached student presenters in preparation for their talks. "My whole life now is focused on teaching kids Christ-centered preaching," states retired evangelist Phil Jones. "These kids are awesome. They're preaching for a decision that will change lives." Invited through flyers and personal invitation, an average of 4-5 people from the Loveland community have attended each night. God has unmistakably been working throughout the week. Several individuals have requested to be baptized at the conclusion of the series. 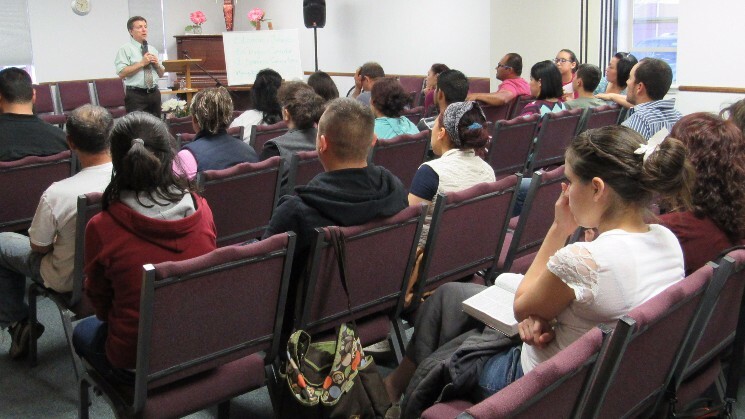 Baptism Concludes Evangelistic Effort for Montrose Hispanic Group » Four individuals were baptized as a result of an evangelistic effort held in Spanish at the Montrose Church April 30 to May 7. The series, entitled "De La Mano De Jesus En Los Dias Finales" ("The Hand of Jesus in the Last Days"), was presented by Pastor Ruben Balaguer. Vista Ridge Academy » is accepting applications for Pre-K through 8th grade. Schedule a tour or visitation day that fits your schedule. New students can receive 10 percent off registration fees (20 percent for families with two or more children) when paid by May 16. Check us out on facebook at www.vistaridge.org or call 303-828-4944. Cheyenne Church » Cheyenne members will hold a CREATION Health seminar at Laramie County Community College on Sabbath afternoons beginning April 2 and continuing through May 14. For more information, contact Lana Anderson at 307-632-9908. Wildfire: Youth Spreading the Word » Campion Academy students spread the Word and confront Christianity's toughest questions in a week-long series held under a big tent on the Campion campus May 6-13. Seven students will address important issues from 7-8 p.m. each night starting this Friday, May 6 (no meeting Monday, May 8). For more information, visit revelantseminars.org/Wildfire or call 855-243-2984. Vista Fellowship » A prophecy series by Carlos Munoz will be held at 7 p.m. Monday, Tuesday, Thursday, Friday and Sabbath, April 22 through May 21. The church is located at 701 Kimbark Street, Longmont. For more information, call Allan Christensen at 303-548-8601. Boulder Church » The Sanitas Lectureship presents its inaugural series, "Narratives, Imagination & Experiencing God" May 20 - 23 with Laurence Turner, PhD, a noted Old Testament scholar. Weekend events include 7 p.m. Friday, May 20; 9:30 a.m. Saturday, May 21; 2 p.m. Saturday, May 21; 10 a.m. Monday, May 23. The church is located at 345 Mapleton Avenue, Boulder CO 80304. For more information, call 303-442-1522. Black Hills School of Massage » Want to have a career that might also be a ministry? Black Hills School of Massage Therapy will be starting their next state-recognized, 600-hour massage school session May 16. If you feel that God is calling you to a career in massage therapy, call us at 605-255-4101. Check out our facebook page -- https://www.facebook.com/blackhillsmassage/ -- or our website at www.bhhec.org/school-of-massage. It's not too late to start a career-ministry where you can touch lives for Jesus! 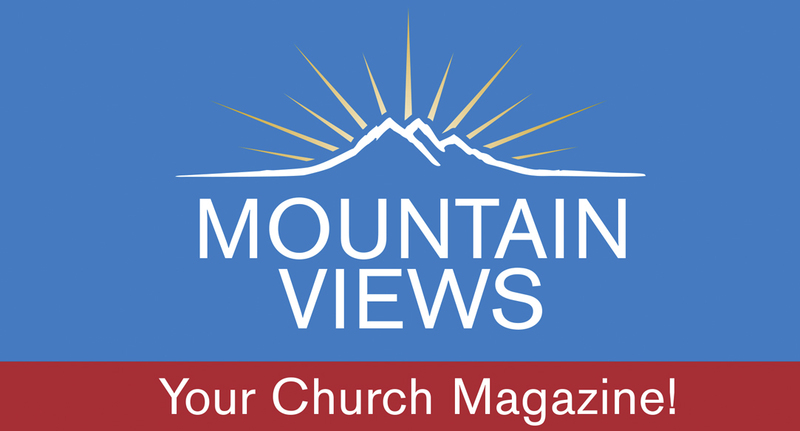 Montrose Church » A Western Slope Life Coaching workshop will be presented at 11 a.m. May 21 and 8 a.m. and 4 p.m. May 22 by Rick Mautz, director of RMC Health Ministries. The church is located at 1551 Valley Road. Contact [email protected] or 970-249-4942 for details and registration. Golden Church » Learn about natural remedies for optimal health, massage therapy, hydrotherapy, healing herbs, and more FREE at the two-day workshop presented by Eden Valley. Attend one or both sessions: God's Healing Ways from 2-3:30 p.m. Saturday, May 21 (sanctuary) and Natural Remedies hands-on seminar from 2-5 p.m., May 22 (gymnasium). Featured speakers include Leasa Hodges, RN; Balazs Kunli, Herbalist; and Eunice Kunli, Therapist. The Golden Church is located at 3101 S Golden Road, Golden CO 80401. For more information, call 303-918-5557. Selah Concert » Campion Academy and Friends are sponsoring Selah in concert at 7 p.m., May 22, at Loveland High School. The concert will benefit the CA Student Aid Fund. Purchase tickets at itickets or call 1-800-965-9324. For more information, call 303-885-4793. Loveland High School is located at 920 W. 29th Street, Loveland, CO 80538.